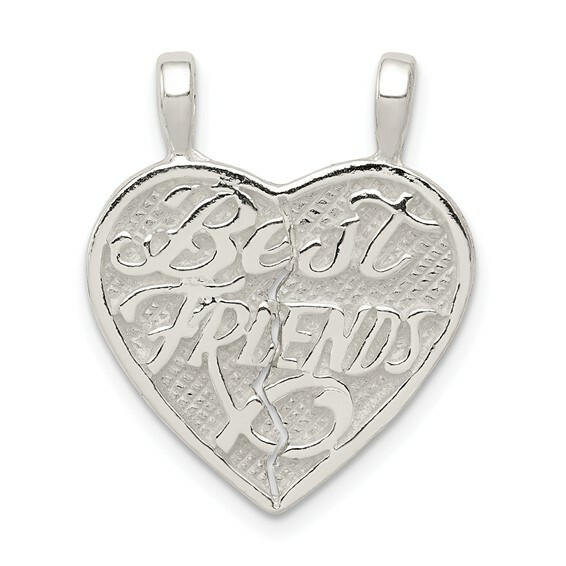 Sterling silver best friends break apart heart charm is designed for two people to wear one piece each. Measures 5/8 inch tall by 11/16 inch wide without bail. Weight: 2.4 grams.